who would wewe most like to see as a girl? Are Akatsuki even awesome as Power-Puff boys? 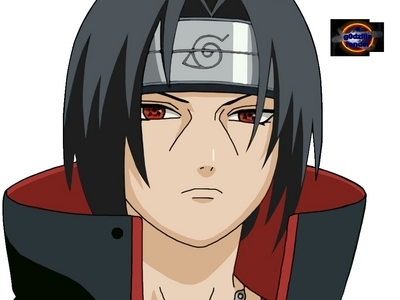 mashabiki wanachagua: Akatsuki is even zaidi awsome! Which picture is the coolest? Really awesome relistic fanart. whos art is better: dei's au sasori's? mashabiki wanachagua: deidara's- Art, is a BANG! deidara&# 39; s- Art, is a BANG! do natsu has a motion sickness? Itachi Turned On The T.v. It Turned On To A Cooking onyesha And How To Make Sushi. Since He Was Too Lazy To Look For The Remote , He Was Forced To Go Through An Our Of Torture. “Yo Pain,” Hidan shouted, “Where the f*** is Kakuzu? I checked his room and all his s*** is gone.” Pain was sitting in his office with Konan standing inayofuata to him. “Kakuzu decided to take advantage of our retirement plan. He no longer works for Akatsuki,” Pain explained. “When the f*** did we get a retirement plan?” Hidan asked. Pein and Konan were standing inayofuata to each other as Pein handed her a piece of paper. “Your mission is to examine the village’s security around the perimeter,” He explained. “This mission will take a few hours,” Konan replied, “Want to get me away from the base for a little while?” Konan winked at Pein, but he only looked mildly confused. Kakuzu’s scream echoed throughout the halls of the Akatsuki. All of the members raced to where they heard the scream and found Kakuzu on the ground lying on his side in the fetal position. “What happened? Did one of the tailed beasts escape their seal?” Pein asked. “Is our headquarters under attack kwa enemy shinobi?” Konan asked. “Did someone have donuts and wouldn’t share them?” Tobi asked. Set Up - In order to play wewe will need two six-sided dice, a board with twelve spaces which includes a start and finish space, and game pieces to symbolize the characters wewe are using. Object of the Game - Your character must be either the first character to reach the finish space au be the only one to still have health. Pain looked at the side of the room and saw that Kisame was getting chakula served to him from a buffet kwa Zetsu and Konan. “Hey we aren’t supposed to start eating until the service is over,” Pain complained. If wewe were assigned on a mission who would be your partner? a comment was made to the poll: out of these, who is best? a comment was made to the link: Which Is your Akatsuki Partner? an answer was added to this question: Favorite Akatsuki member ? how many a-rank mission does itachi completed? make your own Akatsuki character.